As an evangelist, Sally Livingstone is an outspoken and powerful communicator. She reaches the unreachable with her ability to cut through boundaries and speak in the language of the forsaken. She's 'been there, done that'. She speaks from a position of personal experience - and she knows that if she can do it, so can you. 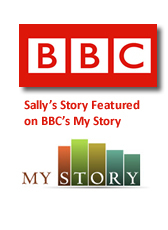 Sally speaks with an outpouring of compassion and determination and wisdom that can only be inspired by God. Sally travels internationally, attending ministries and churches, conferences and events and is in much demand as a media broadcaster and commentator.